Kettlebells have been all the rage lately, especially with CrossFit gaining its well-deserved notoriety. Generally when we think of kettlbells, we think of swings - overhead, one-arm, halfway up, American or Russian. Kettlebells can also be used to replace dumb bells during workouts. I find that kettlebells help with making compound movements more fluid. 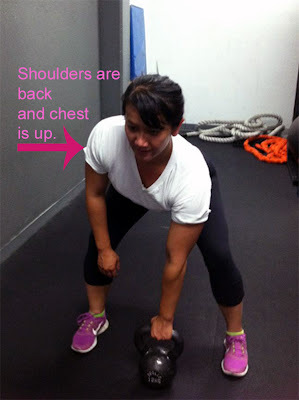 This week during our shoulder workout, we did single-arm kettlebell upright rows to work our delts. I don't know if this is what the movement is actually call; in essence, that's what it was. 1. Place the kettlebell in front of you. Stand in deadlift position (legs hip width apart, hips are bent, shoulders back and chest is up). Kettlebell should be close enough in front of you so that you just need to extend your arm down and not lean forward out of position to grasp it. 2. As you open your hips and stand, bring the kettlebell up. Guide the kettlebell up with your elbow. 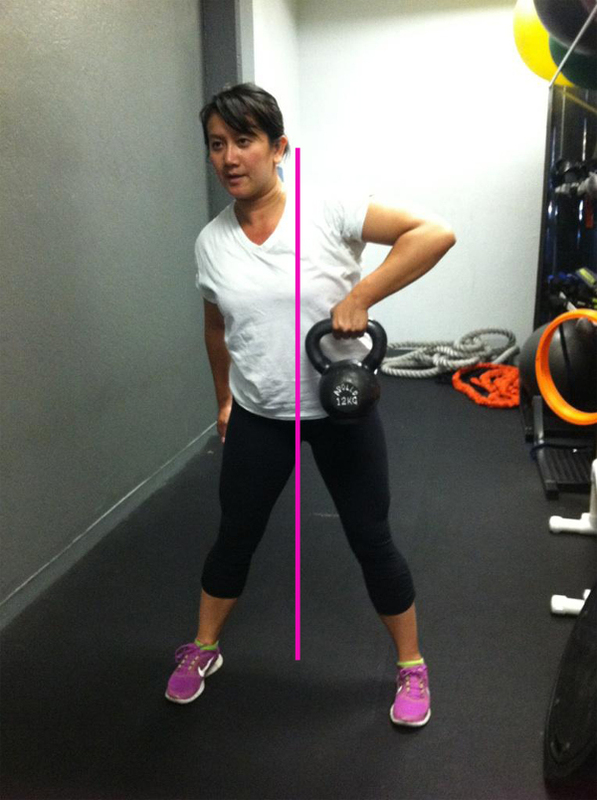 Your elbow should at no point be at the same level or lower than the kettlebell. I tend to move the kettlebell along the inside of my hip/along the middle of my body. 3. Bring your elbow up until the kettlebell is about chest high. Once that is complete, of course, in a controlled manner, bring the kettlebell back down. Repeat the movement. For this set, we did 15 reps for 3 sets/each arm and rotated arms each set. Change up your workouts with kettlebells! If you have any tips or experiences to share with kb's, leave a comment!